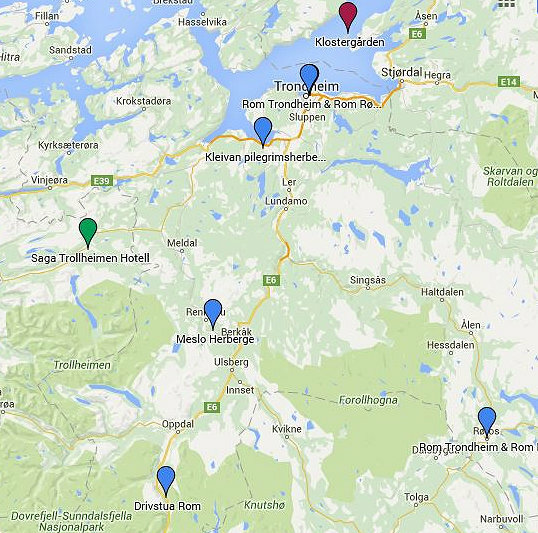 Here you find Trondheim with its many historical sites. You can visit the Nidarosdomen cathedral, historic sites along the river, charming café-/restaurant facilities in modernized industrial structures, and a TV-tower with a turning observatory and restaurant. The county also includes the famous town of Røros; a former mining town and now UNESCO Heritage Site.